SAGE was recently commissioned to design and build a custom lighting project for a 40 m driveway. The design specification involved a timed system that only came on after nightfall (as determined by a light sensor). The project also involved override switching from PIR’s located at either end of the driveway and from inside the front door of the property. 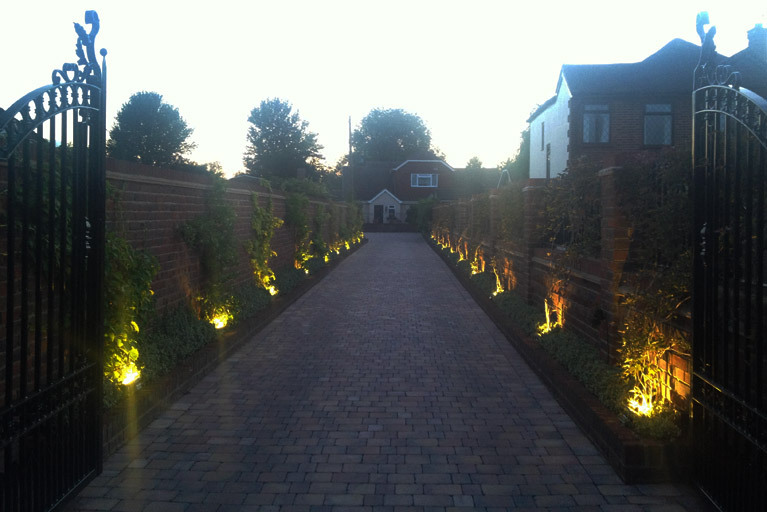 The lighting system was wired in Steel Wire Armored (SWA) cable and used 10 W LED floodlights to light up foliage and brickwork on the driveway. As part of this system electric gates were wired up on approach to the driveway. Another great project completed by SAGE electrical.